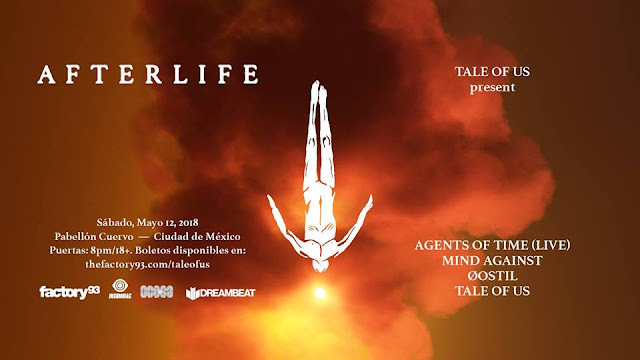 Afterlife Mexico City 2018 ~ Tale Of Us bring their revered event series to Pabellón Cuervo in the capital, a vast event space which plays host to many of the world’s largest acts when visiting Mexico. - Track? !D. Home » Afterlife » News » Tale of Us » Updates » Afterlife Mexico City 2018 ~ Tale Of Us bring their revered event series to Pabellón Cuervo in the capital, a vast event space which plays host to many of the world’s largest acts when visiting Mexico. Afterlife Mexico City 2018 ~ Tale Of Us bring their revered event series to Pabellón Cuervo in the capital, a vast event space which plays host to many of the world’s largest acts when visiting Mexico. Afterlife continues its worldwide odyssey with a highly-anticipated stop in Mexico City. After an epic jungle voyage in Tulum this January, Tale Of Us bring their revered event series to Pabellón Cuervo in the capital, a vast event space which plays host to many of the world’s largest acts when visiting Mexico. Joining the Tale Of Us duo will be Agents Of Time with their mind-bending, three-man live set, as well as the dark, introspective sounds of Mind Against and local talent Øostil. Tale Of Us, their guests and the special visual production of the room will channel the realm of consciousness. Tickets on sale from March 1st, 11am CT.